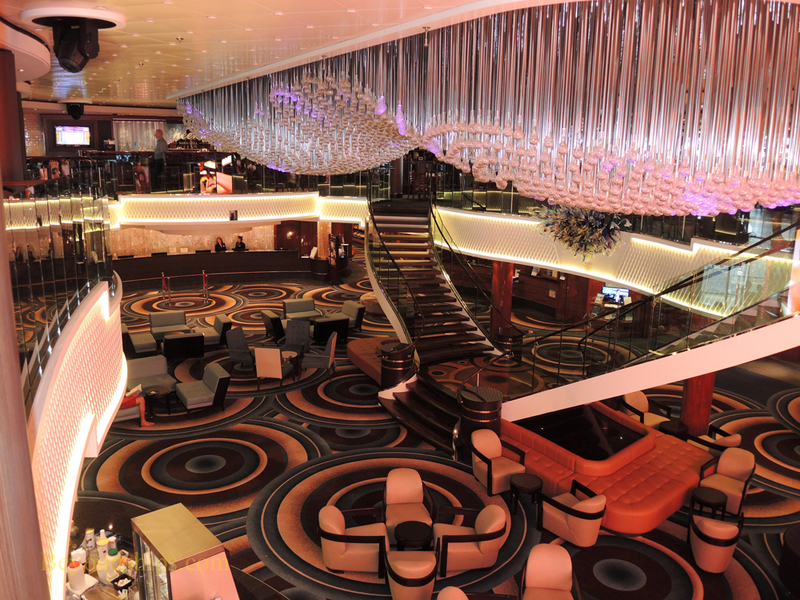 Above and below: The Atrium is a two-deck high space that is the ship's main lobby, an entertainment venue and a dining area. In late 2015, the Atrium was given a new look, which included new carpeting and a new sculpture on the ceiling. Norwegian Gem is the fourth ship in Norwegian's Jewel class. Her sisters are Norwegian Jewel, Norwegian Pearl and Norwegian Jade. 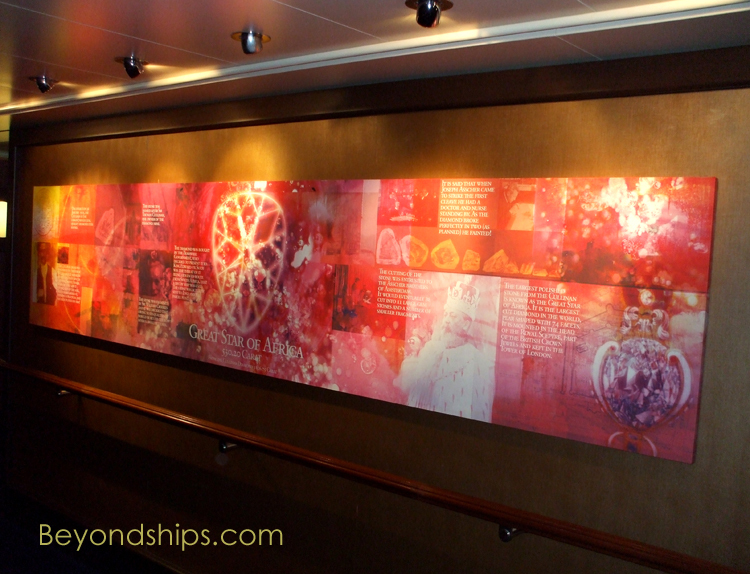 All the ships in the class are similar with the primary differences being in the decor and in the giant murals that grace the sides of their hulls. 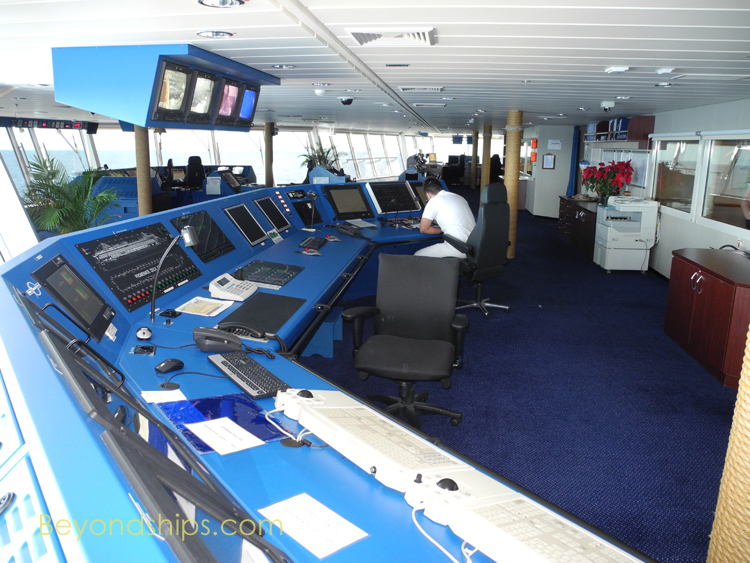 making her one of the fastest cruise ships in service. 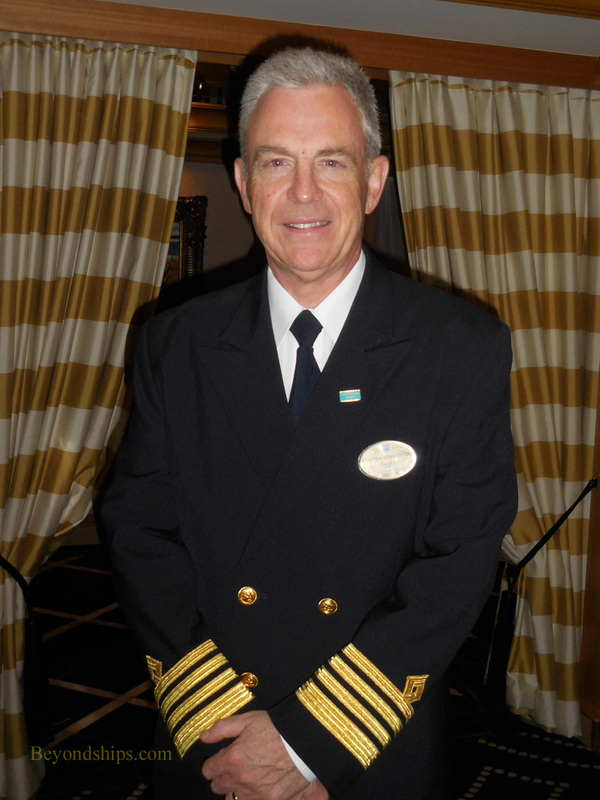 keeps the ship clean and well-maintained. accommodate this, Gem has two main dining rooms, several casual complimentary alternative venues as well as several extra-tariff specialty restaurants. 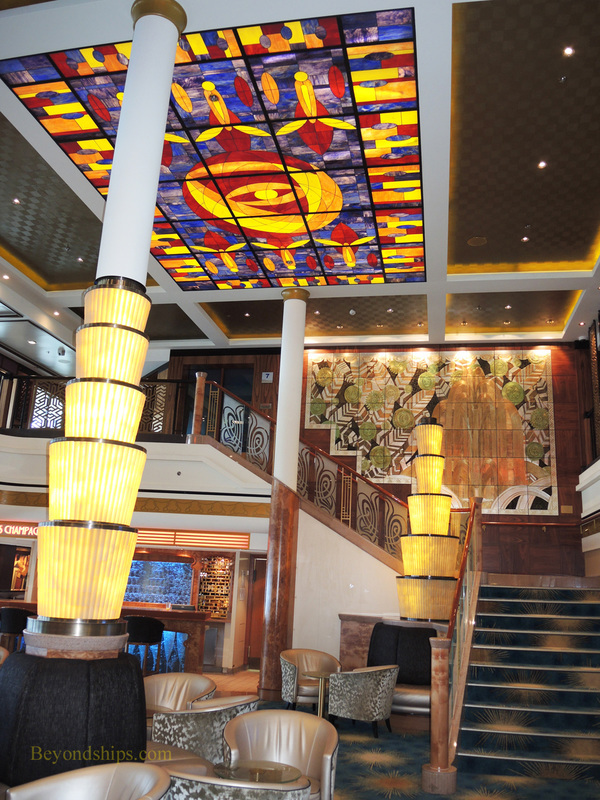 top suites are some of the most lavish afloat. At the other end of the price range, she also has utilitarian inside cabins. Even these cabins were built with the type of quality materials and craftsmanship mentioned earlier. 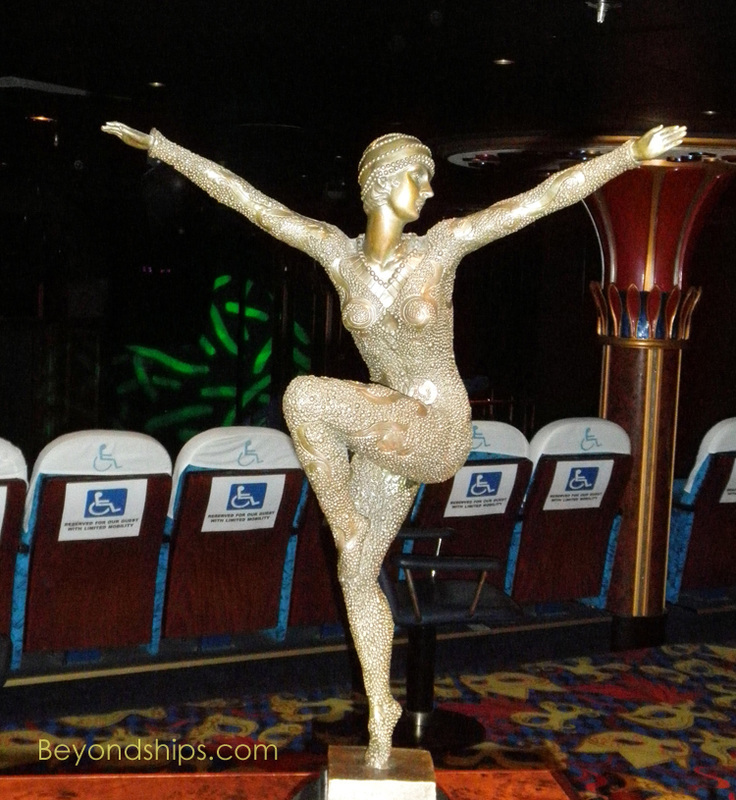 When Gem entered service in 2007, she was dubbed "the It Girl" and had a bold flashy decor to match. Over the years this was toned down. 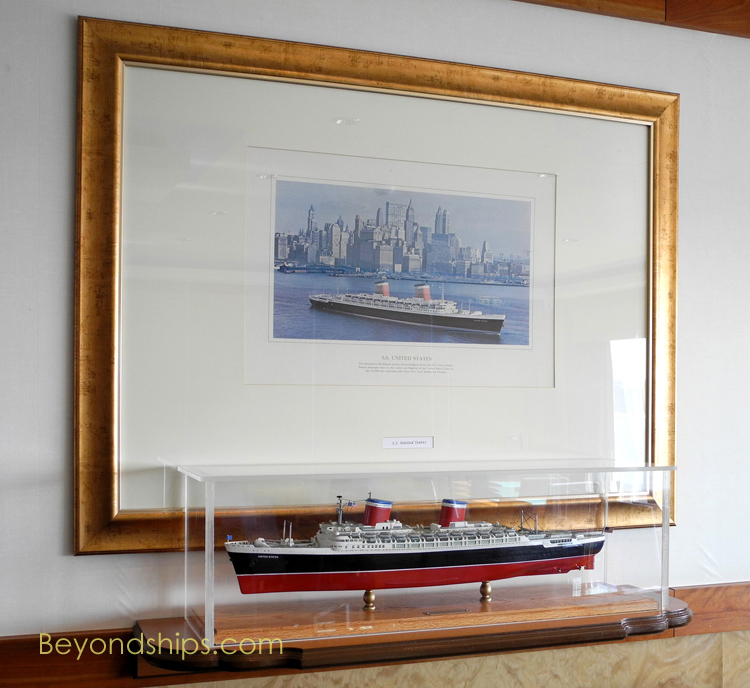 In a refit in 2015, the ship was given a major face-lift that left Gem with a more sophisticated contemporary look. For most of her career, Gem has been based in New York. 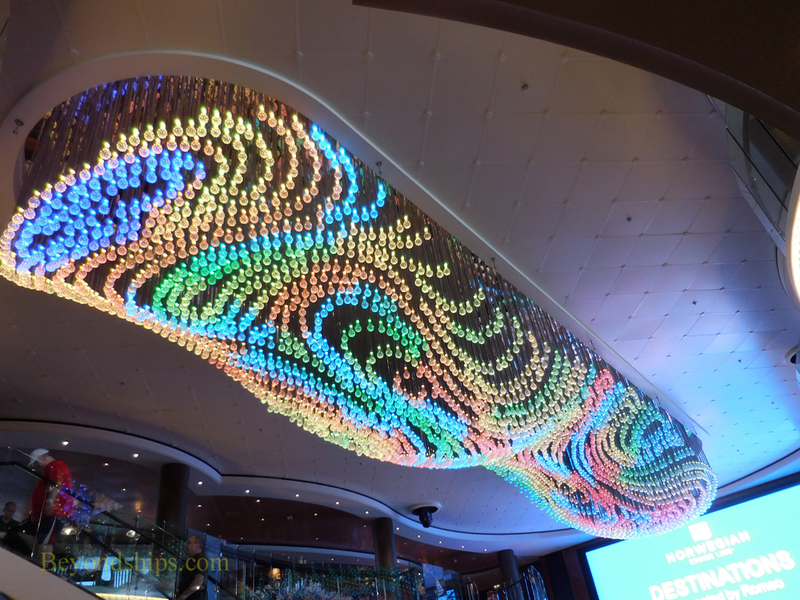 Even after the deployment of the newer and larger Norwegian Breakaway to New York, Gem continued to be successful. She has been retrofitted to include many of the features of her newer fleetmates. In addition, her relatively smaller size attracts those who prefer more intimate ships. Below: Hotel Director Sonja Sommeregger. Left: In addition to the main Atrium, Gem has a second atrium with a grand staircase connecting Decks 6 and 7. The decor is Art Deco inspired. 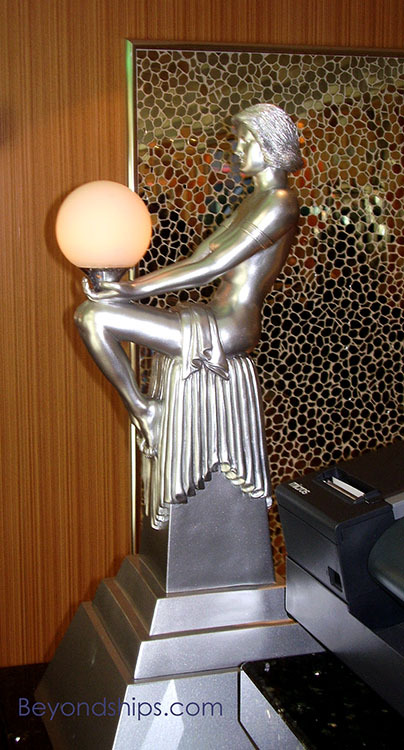 Although Gem's decor is generally contemporary, there are other Art Deco elements around the ship. world-famous gem stones (above right). 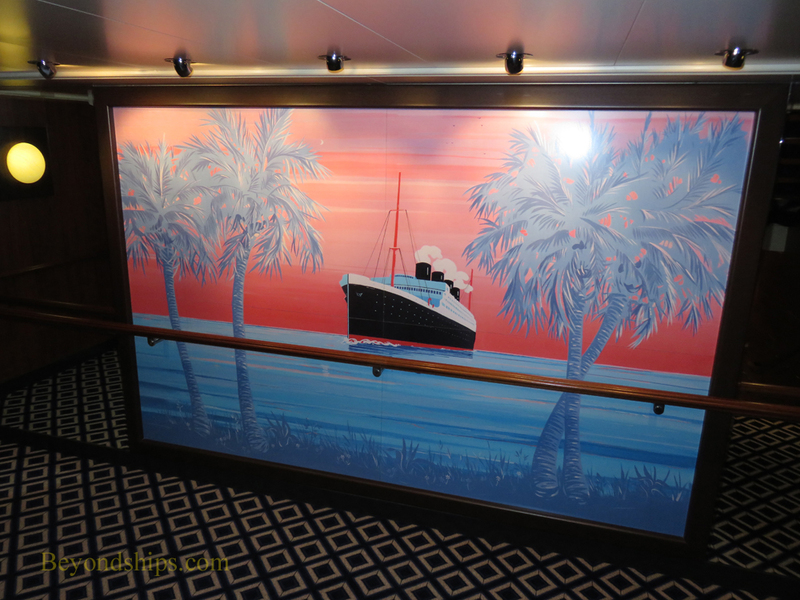 Aft, the panels relate to cruising on passenger ships in the between wars period (right). America operation. However, Norwegian was unable to find a practical way of renovating the old liner. 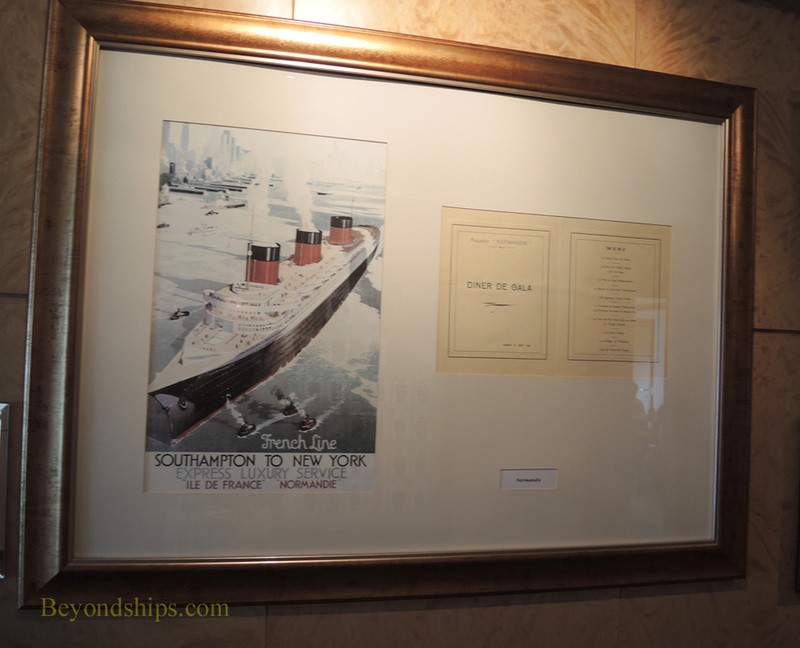 It eventually sold the ship to the SS United States Conservancy, which hopes to preserve the ship. The Guest Relations Desk in the Atrium (above left). 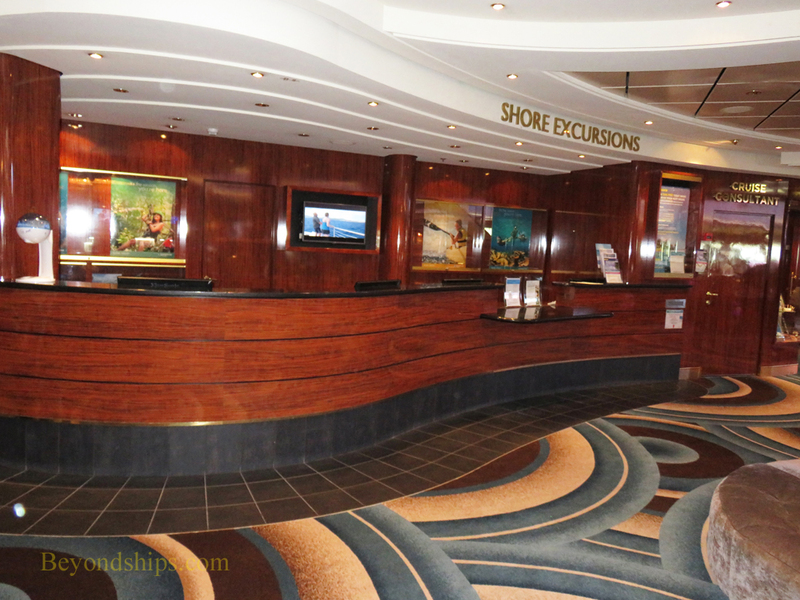 Also in the Atrium is The Shore Excursions Desk (above right). 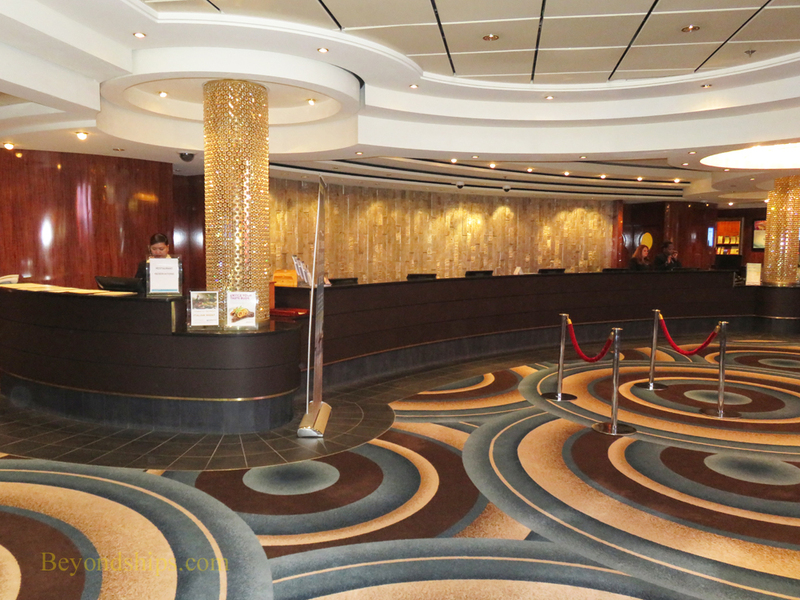 The Cruise Next Consultants' office is by the far end of the Shore Excursions Desk. Above: Gem has a modern cockpit style bridge.